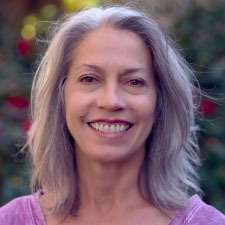 Jennifer relocated in 1996 from Los Angeles to Sacramento where she founded The Yoga Solution. Jennifer teaches Hatha Yoga in the Iyengar tradition. Classes are adapted for all ages and levels with a primary focus on alignment, form, breath work and deep relaxation. 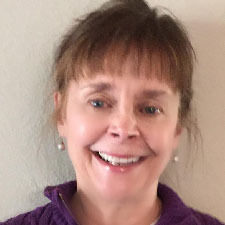 She has taught yoga classes at the YMCA, Sierra Community College, California State University, Sacramento, Sutter Senior Care Center, Mercy Women’s Center, Options for Recovery, Planned Parenthood, Gold River Racquet Club and Natomas Racquet Club. Jennifer is teaching a series of yoga classes at Mercy Hospital. Jennifer, a hospice volunteer, also teaches at UCDavis Hospice Bereavement program on a regular basis. She currently teaches classes to a group who have MS or other physiological/neurological issues. Jennifer conducts private sessions upon request. 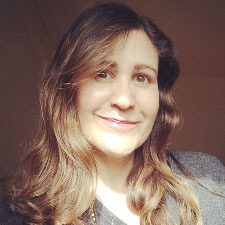 Jennifer also works therapeutically with students who are dealing with chronic pain, anxiety, panic attacks, grief, and cancer. Jennifer’s primary teachers are Donald Moyer, Judith Lasater and Mary Lou Weprin. She is a graduate of the 500 hour Advanced Studies/External Degree Program from The Yoga Room in Berkeley, CA. Jennifer also received her certificate as an AVI Certified Yoga Therapist with master yoga teacher, Gary Kraftsow. KARON GROGGINS | Karon began her yoga journey in 2009 out of curiosity and a desire to develop upper body and core strength. As she continued her practice she discovered that yoga also offers mental, emotional and spiritual benefits. In March of 2015 she completed a year long, 200 hour alignment based teacher training program in Herndon, Virginia. Upon moving to the Sacramento area and seeking out a yoga studio where she could continue and deepen an alignment based practice, she arrived at The Yoga Solution. Karon is grateful to be a part of The Yoga Solution community where she practices and teaches. Also a physical therapist who has worked primarily with older adults, Karon appreciates the value of yoga as it develops balance, coordination and body awareness which are necessary for healthy aging, and enhance personal growth at all stages of life. Her goal is to teach the physical benefits of yoga while fostering mindfulness and an attitude of self care. 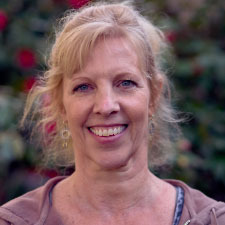 DIANE HOLLAND | Diane began studying yoga at The Yoga Solution in 2008. Wanting to gain more knowledge about yoga, she enrolled in the 2012/13 Advanced Studies/Teacher Training Program with Jennifer Sadugor (Owner and Founder of The Yoga Solution) and Elke Brown, only as an advanced studies student. Over the course of the year, with encouragement from Jennifer, Elke, fellow students and friends, she discovered her inner teacher and completed the 200-hour teacher training. She now shares her love of yoga with others. Diane has completed the abridged Yoga 4 Seniors teacher training program, is a certified Yoga for Healthy Aging teacher and Judith Lasater Relax and Renew® Level 1 trainer. She continues her yoga journey by taking a variety of workshops. FRAN LEE, CYT | Fran discovered yoga as a new mom in the mid-1990’s, and it was love at first Downward Facing Dog! Despite some gaps, she still found herself returning to her mat, her essential space, experimenting with different styles of practice. Fast forward to 2009 when she completed a 200-hour teacher training at The Yoga Solution. She teaches Thursday mornings at The Yoga Solution and also a weekly class at St. Anthony Parish in Sacramento. As a teacher and a lifetime student, she wants to help others gradually and gently adapt yoga to suit our present bodies, providing more freedom and function = FUN in our daily lives. MARLA MCMAHON | Dr. Marla McMahon is a clinical psychologist, yoga and mindfulness teacher. After her first hatha yoga class in the late 1990’s she felt a calling to the practice. Eventually, Marla decided that completing training in yoga and meditation would complement the psychological work that she was doing with clients in areas of stress reduction, depression, and anxiety. In addition to completing a 200-hour hatha yoga training (2013), Marla has received additional training in iRest yoga nidra, yin yoga, restorative yoga, and mindfulness meditation. She is a certified restorative ananda yoga teacher and mindfulness based cognitive therapy instructor. Marla’s teaching focuses on the yin practices of restorative yoga and meditation. It is during these quiet moments that we can rest into our true being. She loves seeing the positive effects that restorative yoga practices have on calming the nervous system and offering a sense of peace and renewal. 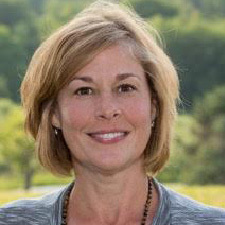 SUSAN METTEL | Susan Mettel started a consistent yoga practice in 1996. Desiring to learn more than the physical practice, in 2012 she enrolled in the 200 RYT program at Prairie Yoga in Lisle, IL. Having lived near Chicago her entire life, she moved to Sacramento in 2015 with her husband. She continues to enjoy her studies by frequently taking workshops and practicing with Iyengar teachers. Her teaching style places an emphasis on alignment by utilizing props. The use of props aids students by showing them how yoga is accessible at all levels. Along with the physical benefits, she believes yoga promotes a calm and mindful response to life’s challenges. YVONNE SHANKS | Yvonne Shanks has been a yoga practitioner since 1995, turning to yoga as a way to compliment her meditation practice. 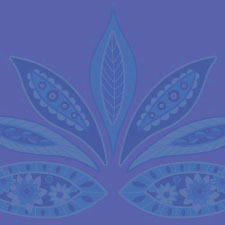 She completed a 200 hr teacher training in Anusara yoga at the Yoga Kula in Berkeley in May 2004. 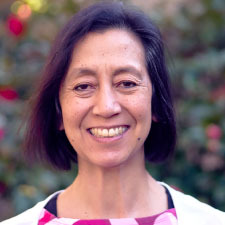 She then went on to complete a 200 hr training at the Yoga Solution in January 2005 and completed a 500 hr Advanced Studies training at the Yoga Room in Berkeley in June 2009. After experiencing what great sequencing can impart to the body and mind as taught by senior Iyengar teacher Gloria Goldberg, she then undertook and completed a 3 year training with Gloria Goldberg and Manouso Manos in Dec 2012. She completed the Intro I level in 2013 and continues to study and appreciate all that yoga can bring. Her greatest joy is sharing with her students all that she has been given by her teachers. PHIL SMITH | Phil’s experience of yoga began with a copy of Richard Hittleman’s Yoga: 28-Day Exercise Plan that he picked up as a teenager. For several years, he used it as a guide for an on-again/off-again home yoga practice. He began a serious studio practice of yoga in 2006, and he has been studying and practicing at The Yoga Solution since 2009. Phil has studied a variety of yoga styles including Iyengar, Vinyasa (Flow), Bikram, Power, and Yin. He completed his yoga teacher certification at the White Lotus Foundation with Ganga White and Tracey Rich in Santa Barbara. His classes at The Yoga Solution incorporate classic yoga postures, slow vinyasa routines, and pranayama (breath exercises) as well as the use of bandhas, mudras, and relaxation techniques to enhance the yoga experience. 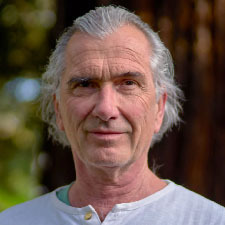 GARY VERCELLI | Gary Vercelli has studied and practiced Iyengar Yoga since 1992. His primary mentor has been Senior Iyengar Instructor Manouso Manos. 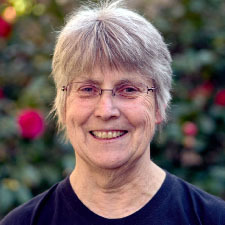 Gary’s most influential teachers have been Manos, Mary Dunn, and Ramanand Patel, with whom he studied in India in 2000. 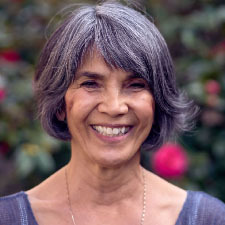 Vercelli taught Iyengar Yoga at American River College 2000 – 2012. He was certified by the IYNAUS at the Intro 2 level in 2003. Gary has attended five Iyengar National Conventions and studied with Geeta Iyengar in Pune, India (12/04, 12/14, & 12/15) and with B.K.S. Iyengar in Estes Park, CO. (10/05). A popular broadcaster on Capital Public Radio (88.9 FM), Vercelli brings to his craft as a yoga instructor a dynamic presence and a reverence for the subject. TERESA WITTERS | Teresa began practicing yoga in 1999 and was inspired by its transformative power—both internally and externally. In the past 17 years, she has deepened her practice with various styles and teachers, but connects with the foundation of alignment and precision of postures through Iyengar yoga. Teresa also teaches a weekly children’s yoga class to third, fourth and fifth graders at an elementary school in Carmichael. In 2010 she began classes at The Yoga Solution and felt right at home with the warm yoga community. Teresa is passionately committed to deepening her knowledge of yoga through studio classes and workshops and strives to share her joy of yoga in her classes.